Here is a quick look at where the challenge stands. “Quick” being relative. In TV lingo this would be called a “clip show”. All of the traits should be rolled in some manner in order to obtain randomized traits. Yep – otherwise she wouldn’t have been in Comedy because it sure doesn’t pay enough for a founder. Wait, I just thought of something. She needs to write comedy books. I read somewhere that does pay royalties, and she needs to write a book for the Family Scrapbook bonus anyways. You may use whatever lot traits you want, as long as it doesn’t violate any other rule. On Ley Line, Private Dwelling, Convivial – I can’t remember if the lot traits can be changed or if they are set in stone… I need to look that up. —nope, nothing says they can’t be changed other than the On Ley mini-challenge. Each generation, starting with the founders, must have three pregnancies. So far, so good – three pregnancies, five kids – could be worse. Somehow. And damned if I am not missing the toddlers at this moment. 1st generation poll posted here. Graves must be kept on the lot. No deaths yet, but not for lack of trying on my part (and stupidity on theirs). You may not hire any service sims (maid/butler/nanny) for the duration of the challenge. Haven’t really been able to afford it yet, but this family sure could use a maid. Not one of them is a slob but everything is dirty all of the time. 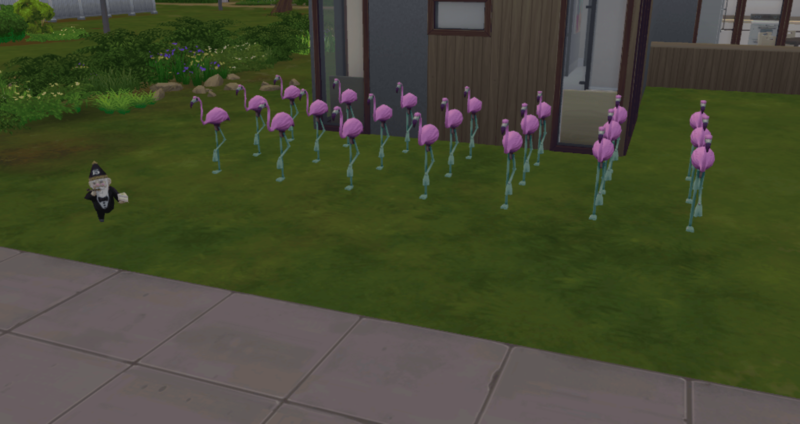 An Army of Flamingos, you must have three flamingos on the lawn for every member of the household. The Army of Flamingos is in place along with their General Gnome. For making a founder with a colorful skin tone and keeping the skin color in the family until third generation. 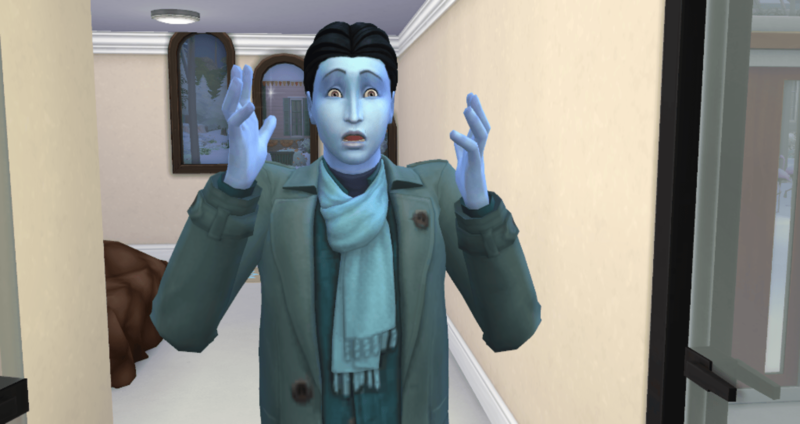 Blue skin and purple eyes is Xia’s gift to her children. Most of them have refused her gift. Ungrateful brats. Achieving the initial (first teen/adult) aspiration for the founder, heirs, and all spares. 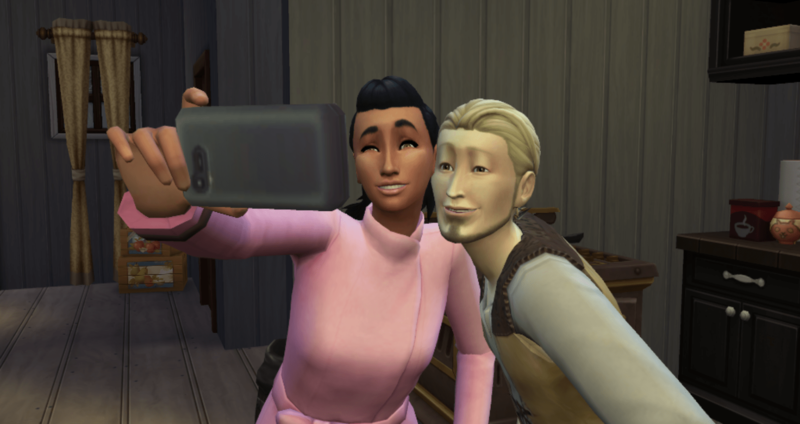 Don doesn’t have to complete his aspiration as the spouse, but I changed his aspiration anyways to one I was willing to complete. He came in with Serial Romantic and I changed it to Soul Mate – still within the Family group to benefit from the aspiration trait it gives. The teens are all working on theirs and the three girls should have theirs completed fairly quickly once they are young adults. Both boys will take a little longer and Olly will take up a spot in the house until he reaches level 8 in the Culinary career. For having a gnome to guard your flamingos. Gnomingo Quince is on duty. 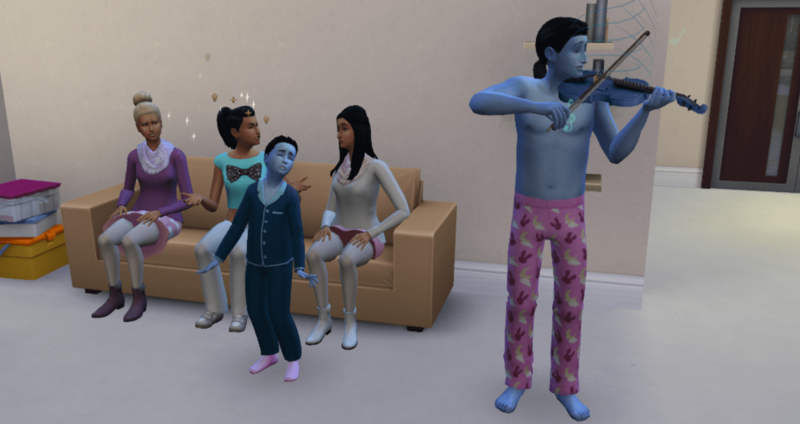 Have at least one sim per generation attend AND participate in each festival at least once. They must engage in the activities offered and be there for most of the festival. 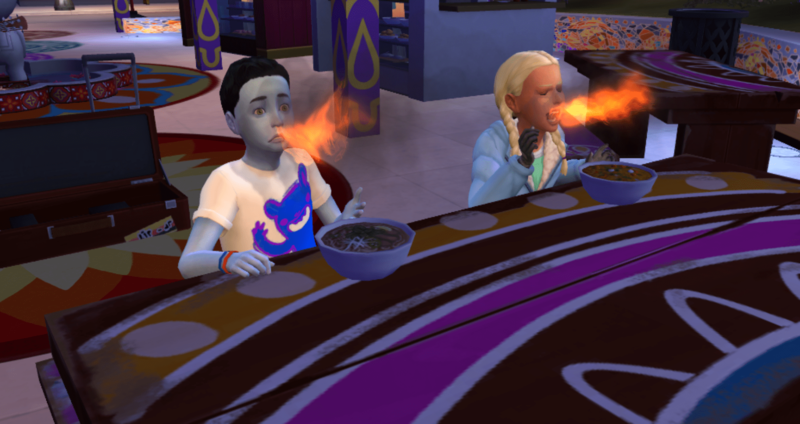 One sim per generation must visit each food truck and eat all recipes. They must earn the hidden traits of Spice Hound and Chopstick Saavy. 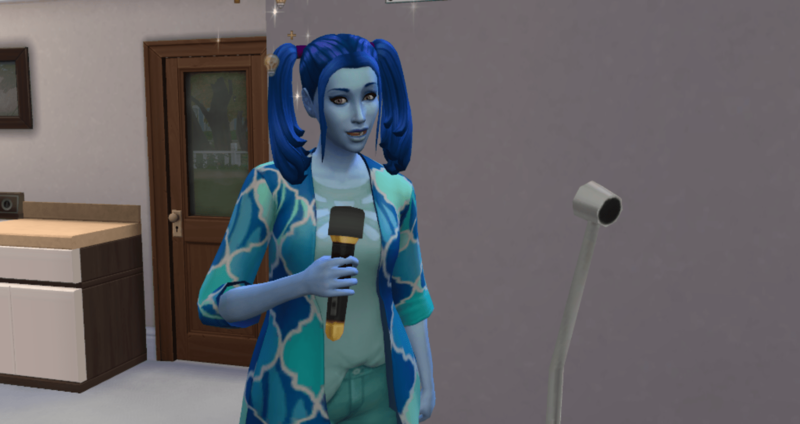 One sim per generation must max singing and win a Karaoke contest. Still possible, but haven’t really started. I actually have doubts that this will be completed and it is possible this bonus set will be dropped. I still plan to try with Bunny and Xia as Xia has already done some work on the festivals and food truck recipes. 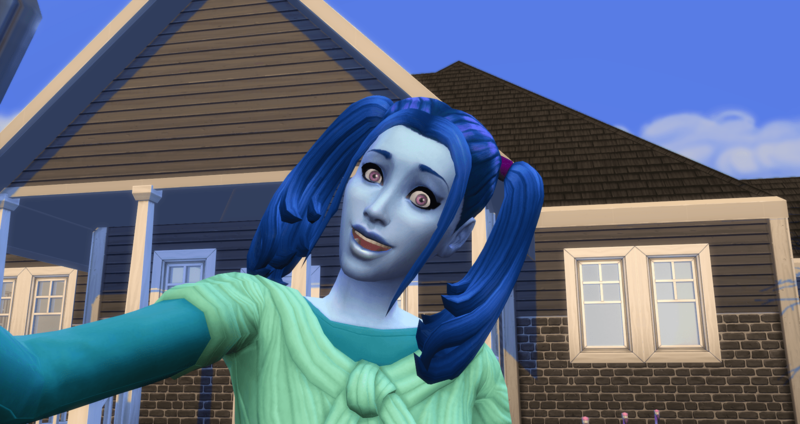 One sim per generation, beginning with the first generation, must max herbalism skill. Buffy will be working on this for the first generation. Each generation, beginning with the first generation, must befriend the Hermit that lives in the deep woods. Buffy is friends with the hermit – Marquise Peoples. Whole family must go camping every summer. I picked up this bonus set at the end of summer, so I am thinking they should go once per calendar year rather than every summer (I know I would rather go camping in either the spring or fall personally). They have one more week before the new year so there is still time (winter camping, anyone?). Naming the first generation’s three children names that start with B, O and O. The second generation’s children would be given names that start with L, P and R. The third generation’s children would be given names that start with O, P and N (for .net, of course!). Every member of the family must have either their picture taken, portrait painted (paint from reference) and hung somewhere about the house. Also, each generation, starting with the founder, must write one novel, to keep track of the family’s memories. In total four novels must be written: one by the founder and one by each of the three heirs (first gen, second gen, third gen). 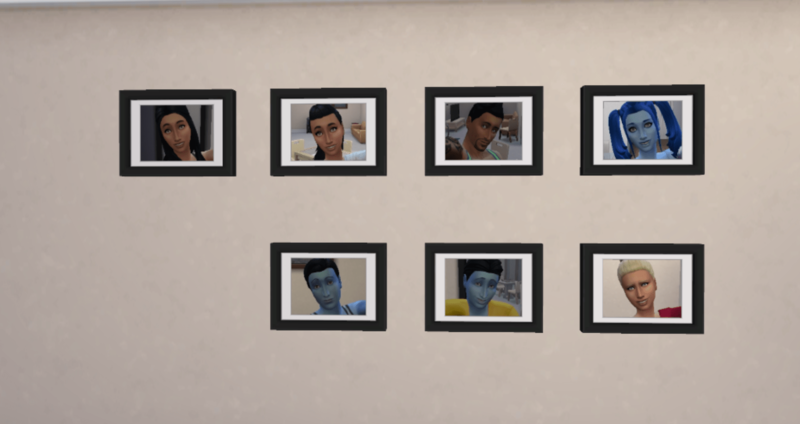 Selfies have been taken of the current household and they are hanging in the living room. I am going to move them to hang over the couch. Xia still needs to write her book – she will write a comedy book – to track the family’s memories. There is still time. At the beginning of the challenge you must enable the On-Ley Line lot trait, and leave it on for the entire challenge. Each child born during the challenge will also need to have at least one-character trait (positive or negative) upon finishing their teen years. The lot trait is in place and the babies have been conceived and born on the lot. Two sets of twins and one singleton. All of the kids are still teens but are on track for at least one-character trait. Buffy: Responsibility. Good Manners is a strong possibility. Mediator is an outside possibility. Oriel: Responsibility. Insensitive is a good possibility. Orion: Responsibility and Good Manners. Olly: Responsibility and Good Manners. A generation of your choice must give birth to triplets. You may name each of the babies after a different letter in the naming scheme if you go for this, you are also exempt from the three-pregnancy rule that generation. You must have each triplet max three skills of your choosing as a child, make three best friends (outside of the family), and complete the golden trio of getting an A in elementary and high school and reaching the top of their teen career as a teen. They must also each earn at least three positive character value if you have Parenthood installed. Trio = three. And no negative values. I laugh at the idea that anyone in this family will reach the top of any career. But this is still on the list, just in case. Because it is not yet impossible. 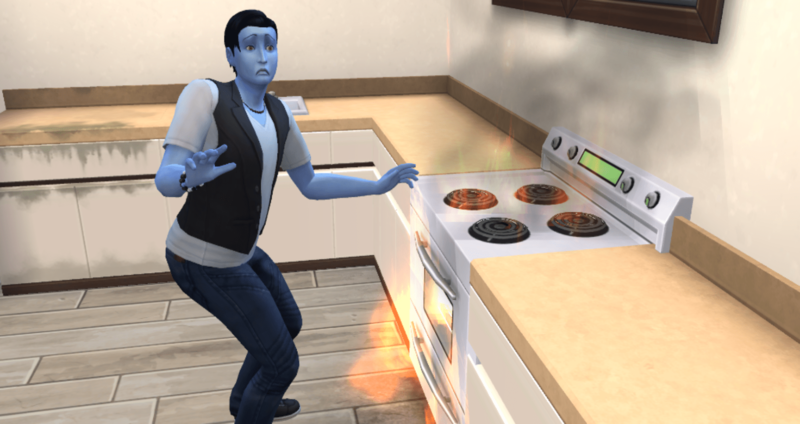 Max all skills at least once with any combination of household members! I will finish this challenge. This will be posted whether I finish or not.